Piece by Piece: Happy Birthday! 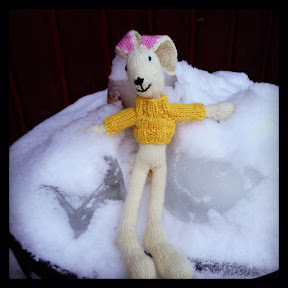 Kristine turned 19 yesterday, and she had lots of friends over for a cake party. 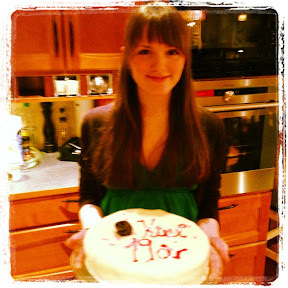 She made a Red Velvet cake herself, and my mom and I collaborated on a marzipan cake. I can't believe my little girl is already 19, and soon on her way out on her own. This weekend we're going to Oslo where Ola will be skiing in a race for 13 and 14 year olds in Holmenkollen, and Kristine will be looking around different areas for student housing since she'll be attending the University of Oslo this fall. 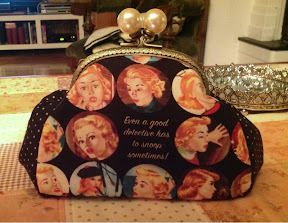 Oh, and I want to show you this little purse, the pattern is from Bente Malm, and it is such a great and easy pattern. perfect for fun fabrics like the Nancy Drew fabric I used. Happy Birthday to your baby. I love the bunny, he is so cute.